Red Deer, AB – The Canadian Hockey League (CHL) and Canadian Mental Health Association (CMHA) have announced an expanded partnership with the launch of Talk Today. Talk Today is a proven mental health education program that will help players and team staff identify and deal with mental health issues. It will be implemented by all 60 CHL teams for the 2016-17 season. Talk Today has been in place in the Ontario Hockey League (OHL) since October 2014. CMHA Ontario branches and their local OHL teams have made a sizable impact: 670 players, 160 billets, and more than 85 coaches and front office staff have received mental health and suicide-prevention training to date. “Young people can face tremendous stress and pressure and become susceptible to mental health challenges just like everyone else. Talk Today will provide education about mental health and suicide and encourage players and team staff to speak openly about these serious issues,” said Camille Quenneville, CEO, CMHA Ontario. CMHA will assign a Mental Health Coach for each team. This is a person players and team staff can contact when needing help with any mental health issue. In turn, the Mental Health Coach will help connect those in need to appropriate community supports and resources. Each team will designate a Mental Health Champion, the first point of contact within the organization and someone who can communicate regularly with the CMHA Mental Health Coach. Talk Today also includes a commitment for CHL teams to host one awareness game to help destigmatize mental health issues. This season, those OHL games were held in February and roughly 80,000 fans attended to hear and receive positive messages about mental health. Nearly 3 million people were reached on social media as well using the hashtag #TalkToday. Talk Today helps address an important concern of which hockey players are not immune. The number of 12- to 19-year-olds at risk for depression is a staggering 3.2 million. Suicide is the second-leading cause of death for young Canadians between the ages of 10 and 24. And 70 per cent of mental health problems are onset during childhood or adolescence. 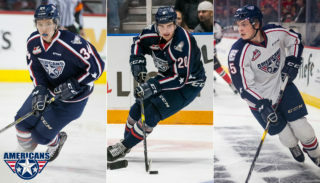 The CHL, which includes the Ontario Hockey League (OHL), Western Hockey League (WHL) and the Quebec Major Junior Hockey League (QMJHL) work hard to continually review, refine and improve their individual/unique player experiences, the hallmark of which is each league’s comprehensive post-secondary scholarship and education program. Our world class player experience also includes the highest calibre coaching and training facilities, extensive health and safety initiatives, anti-doping, out-of-pocket expense reimbursement, equipment, billeting and travel costs, and mentoring programs that support our players whether they continue to their hockey career at the professional level or pursue their education at a post-secondary institution of their choice. 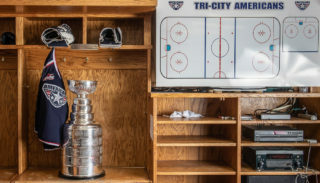 Season memberships for the Tri-City Americans are currently on sale for the upcoming 2016-2017 season. 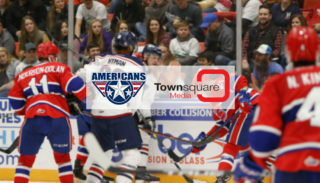 The Americans will hold the annual “Meet Your Seat” night on Tuesday, June 7th from 4-6:30 pm at Toyota Center. Enjoy the best seats – and the best rates – in the Toyota Center! 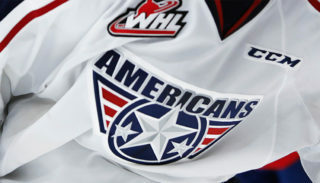 Call (509) 736-0606 for more information or visit www.amshockey.com.